For Candidates Of North - East Region Applications are invited from Indian Nationals of North-East Origin/region for the award of ‘‘DBT-Research Associateship’’ for pursuing research in frontier areas of Biotechnology and Life Sciences. The Associateship is tenable in Research Institutions/Universities including non-profit R&D Institutions within India. The Associateships are awarded under a program sponsored by the Department of Biotechnology, Ministry of Science and Technology, Govt. of India. A hard copy of the Application with necessary documents should be Speed-posted to: The National Program Coordinator, DBT-Research Associateship Program, Department of Molecular Reproduction, Development & Genetics, New Biological Sciences Building, Indian Institute of Science, Bangalore-560012. Write “Application for DBT-RA Fellowship (North-East)’’ on the envelope. Detailed information and relevant application format may be obtained from: http://www.mrdg.iisc.ernet.in/. 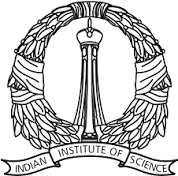 The last date for receiving the completed application at Indian Institute of Science, Bangalore, is March 25, 2019.